The development landscape is shifting. China’s emergence as a non-traditional development donor is challenging traditional donor countries that are part of the Development Assistance Committee (DAC) of the Organisation for Economic Development Cooperation (OECD), such as Australia, Canada, the United Kingdom, and the United States. After many years of ambivalence, Beijing is renewing its engagement with its Southeast Asian neighbours in trade and development cooperation, a shift predicated not only upon the need for China to secure its energy supplies as the Chinese economy continues to expand, but also on the potential economic growth of these neighbouring countries, with their cheap labour and growing middle classes. Southeast Asia represents a market of six hundred million people for Chinese goods and services—a potentially significant boon for the slowing Chinese economy. Among these countries, since its transition to a civil government, Myanmar has had one of the highest growth rates in the region, exceeding seven percent per annum, a development that has been heavily driven by foreign direct investment. From a developmental perspective, Chinese aid and development assistance are nothing new, but over the years these instruments have shifted from being driven by ideology, as during the Maoist era, to a much more flexible and pragmatic approach. According to a recent report by the Asia Foundation, Chinese development assistance currently focuses on non-interference, mutual benefit, infrastructure-led growth, and demand-driven cooperation. In Southeast Asia, China has provided a full range of assistance, including soft loans, debt cancellation, and the extension of lines of traditional credit. Moreover, the Chinese state has actively assisted and invested in the infrastructure of Southeast Asian nations. In the case of Myanmar, China has been a long-term economic partner and ally, but this partnership is now being challenged by Myanmar’s democratisation process. Based on fieldwork observations conducted in Myanmar in the summer of 2016, in this article I first examine the role of Chinese development assistance and investments in the country’s transition, I then move on to consider how this role is perceived and challenged by an emerging but active Burmese civil society. 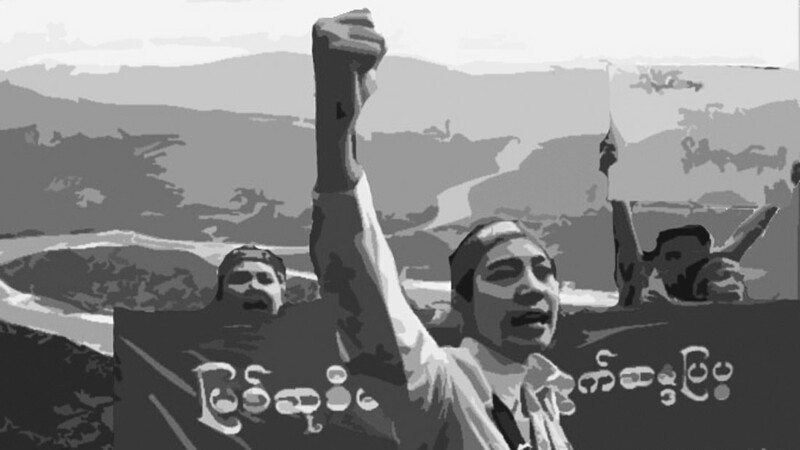 While nascent, Burmese civil society has indeed shown that it is ready to actively contest the legitimacy of China’s various development and commercial interests in this new democracy. China is Myanmar’s most significant and largest investor to date. China’s relationship with Myanmar is primarily driven by Beijing’s need to secure resources for its own development, as the country offers China a wealth of natural resources and is strategically located. Gas and oil routed through the Indian Ocean into Myanmar and on to China reduce Chinese dependence on the Middle East and on the unsafe passage through the Malacca Strait. While the expansion of the Chinese economy has slowed considerably, the desire to sustain growth demands that China secure not only resources, but also a market for its goods. The Burmese economy is forecast to grow at 8.6 percent in 2016, with similar projections for 2017, presenting a significant opportunity for Chinese manufacturers. For this reason, much of China’s development assistance remains framed as economic cooperation, a situation that has failed to win the support of Burmese society. Large-scale projects such as the Myitisone Dam, the Letpadaung Copper Mine, and the Kyaukphyu Gas Pipeline have drawn the attention and opposition of civil society representatives. Chinese companies, such as the China Power Investment (CPI) have been accused of not providing enough safeguards against environmental damage, nor appropriate compensation to affected communities. The Irrawaddy River, where the dam was to be located, is seen as the birthplace of the nation. Given the Irrawaddy’s cultural and historical significance, the lack of consultation prior to the initiation of the dam project further strengthened the claims against CPI. In addition, accusations of land grabs and contracts that favour the Chinese have increased anti-Chinese sentiments in Myanmar. The Chinese are seeking to make amends. The Chinese Embassy in Yangon has instructed all state-owned enterprises (SOEs) operating in Myanmar to undertake corporate social responsibility training. The China National Petroleum Corporation, the SOE responsible for the Kyaukphyu pipeline, has established a Pipeline Friendship Association in Myanmar to address local grievances that pertain to the pipeline. These types of actions have proved insufficient to address continuing concerns and the demands of Burmese civil society. For instance, a 2016 delegation from CPI that was accompanied by the Chinese Ambassador Hong Liang to Myitkyina township, Kachin state, to meet with local officials and residents attracted protests; while the restarting of the Letpadaung mine elicited outcry and further protests in May 2016. The inability of the Chinese to win over Burmese support is an indication of not only a failure to address the asymmetry in its engagement with Myanmar, but also its failure to recognise the importance of the country’s increasingly active civil society. As a long-standing partner of Myanmar during its years of international isolation, China’s engagement with the country has reached a critical juncture. Now more than ever, Beijing needs to re-frame its partnership to incorporate a new development component, one that seeks to address the existing asymmetry and provides opportunities for all stakeholders to be part of the development, notably civil society groups and communities that are affected by Chinese economic interests. Indeed, Chinese involvement in Myanmar must be seen in the context of the country’s political transition, which is providing new space and opportunities for local civil society. Burmese civil society stakeholders have pushed their country’s new democratic government for accountability and transparency in its deals with the Chinese, particularly considering that the Chinese authorities have in the past supported the military dictatorship. Moreover, while the Chinese government, NGOs, and investors have the capacity to deliver sustainable development and to be effective development partners with the Burmese, the asymmetrical nature of the Sino-Burmese partnership—firmly tilted in favour of China’s economic, political, and strategic interests—is starting to change. In re-engaging with the world and re-establishing its international connections, Myanmar is diversifying its sources of economic, social, and political support, thereby reducing its dependency on China. In addition, China’s own democratic deficits are significant impediments to its overseas development assistance policies, especially considering the fact that the Chinese authorities prefer government-to-government development cooperation. This form of partnership often illuminates China’s democratic deficiencies rather than hiding them and is, therefore, hardly acceptable to local Burmese civil society. As mentioned above, the activism of Myanmar’s emerging civil society has already had an impact on Chinese economic interests in the country. The Thein Sein government’s decision to shelve the China-backed Myitsone Dam on the Irrawaddy River in late 2011 is generally attributed to opposition from Burmese civil society, based on worries about irreversible environmental damage and displacement of communities. Fieldwork interviews in 2016 with Burmese civil society representatives engaged across a number of fields—from corporate social responsibility (CSR) to political transition—suggest that there is a tendency to look towards the West, in particular the United States, for development assistance. This is principally out of concern for China’s top-down approach to economic development cooperation. Interviews with people working in the Burmese NGO sector suggest that the Chinese state—in its various guises—is perceived as lacking the know-how and skills to effectively engage with Burmese civil society, a perception that is also jeopardising China’s legitimacy and its status as an economic and development partner. According to an NGO representative working in Myanmar’s CSR sector, campaigns to improve the Chinese image and attempts to engage with Burmese civil society in the wake of large-scale protests against a number of Chinese-backed projects have, thus far, proved weak and ineffectual. For example, despite providing public access to its Environment Management Plan for the Letpadaung Copper Mine, Wanbao, the Chinese mining company that owns the site, was not able to quell protests from local villagers claiming environmental damage and inadequate compensation. Finally, another factor that should not be discounted in the relationship between the two countries is that Chinese economic interests in Myanmar are threatened by the ethnic conflicts taking place across the Yunnan border. For example, the conflict between the ethnic Kachin and the Burmese army threatens not only Chinese internal security—with some sixty thousand displaced people entering Yunnan since conflict intensified in early 2015—but also China’s strategic oil and gas supply pipelines. China’s political culture has always shaped the manner in which Beijing has engaged with other nations. This has entailed a strong preference for state-to-state relationships. Myanmar’s reforms have opened up new space for local civil society actors and the media, all of which have become roadblocks for furthering Chinese interests in the country. China was slow to recognise the influence of civil society on domestic politics and Burmese development, and Burmese civil society representatives have grown increasingly sceptical regarding Chinese claims of mutual benefit and South-South cooperation. Still, although it has little to offer in terms of values associated with development, such as good governance and accountability, China does have a significant development experience to share, having lifted over seven hundred million people out of poverty in just two decades. And yet, in spite of this, both domestic and international civil society activists working in Myanmar question the extent to which the Chinese state and its various stakeholders will be of assistance to their country. Extrapolating further, we can also speculate that, if and when Chinese civil society stakeholders begin to play a bigger role in delivering development assistance to Myanmar, questions will surely abound as to the autonomy of Chinese civil society organisations from the party-state. All of this is likely to continue to restrain Chinese economic and development cooperation in Myanmar. Nevertheless, China has started to acknowledge the importance of engaging civil society actors to deepen cooperation with its neighbours. As a mechanism for building trust and cooperation at the regional level, China and the Association for Southeast Asian Nations established a high-level, people-to-people dialogue, involving civil society representatives from across the region. The first meeting was held in 2013 in the Guangxi Zhuang Autonomous Region, and was organised by the China NGO Network for International Exchange (CNIE), an umbrella organisation for China’s leading non-profit social organisations. The second meeting, held in 2015 in Nusa Dua, Bali, paved the way for the establishment of an NGO network responsible for organising future rotating dialogues. Moreover, the China Foundation for Poverty Alleviation, one of China’s largest NGOs, opened its second international office in Yangon in August 2016. Such measures suggest that a possible re-framing of Chinese development efforts is underway. This, in the future, may open up greater space for both Chinese and Burmese NGOs to cooperate on development projects and, thus, build trust and goodwill between the two countries. Photo Credits: Protest against the Myitsone Dam in Myanmar. AK Rockefeller (Flickr). Jennifer Hsu is a faculty member in the Department of Political Science at the University of Alberta. 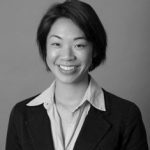 Her research interests include state-society and state-NGO relations, the growth of civil society in China, and the internationalisation of Chinese NGOs. She is the author of State of Exchange: Migrant NGOs and the Chinese Government (University of British Columbia Press, 2017).